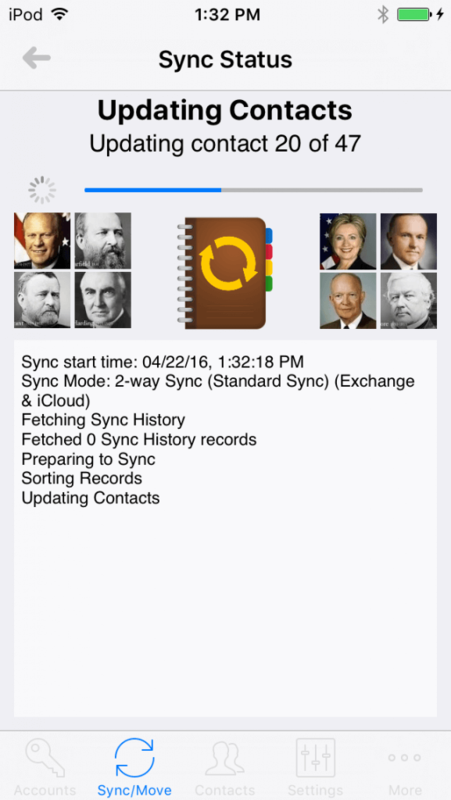 “Contact Mover & Account Sync” allows you to quickly and easily sync or move contacts between any pair of iPhone or iPad contact accounts. This app can be used in a number of creative ways. 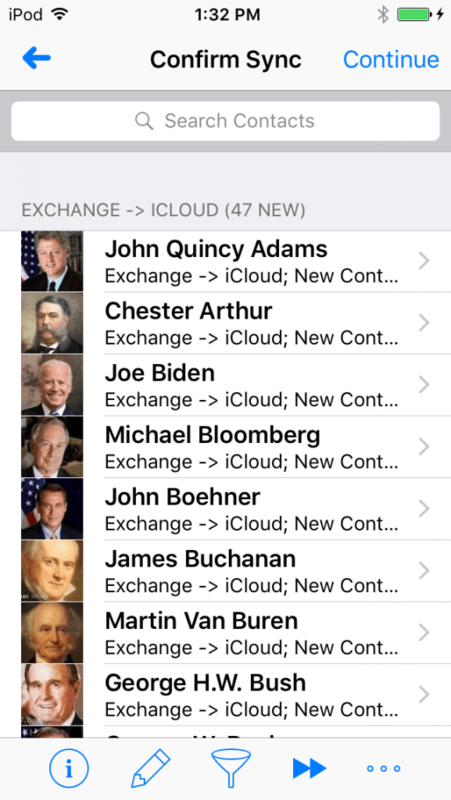 For instance, you can merge your corporate Exchange contacts into your personal local address book or vice versa. Or perhaps you want to sync your Outlook contacts with iCloud. Or perhaps you want to see your Facebook photos in your iCloud contacts on the web. 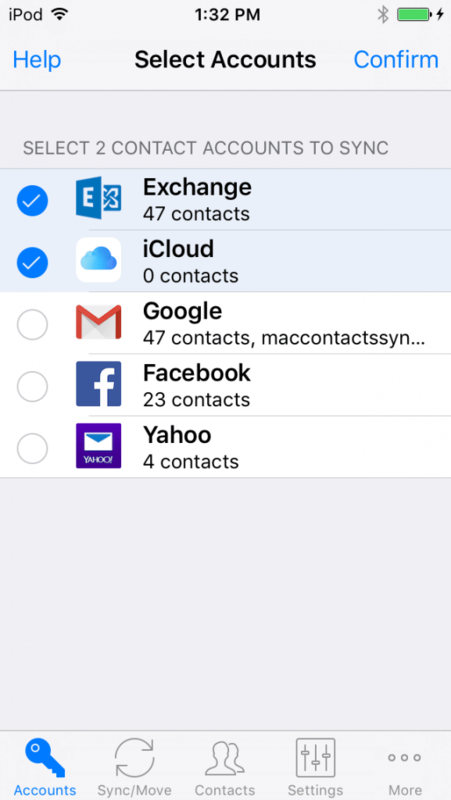 As long as you already have a pair of contact accounts setup on your iPhone/iPad, it doesn’t matter if it’s an Exchange, Outlook, iCloud, Gmail, Facebook, Yahoo, Local, or CardDAV account, “Contact Mover & Account Sync” can sync and move it! 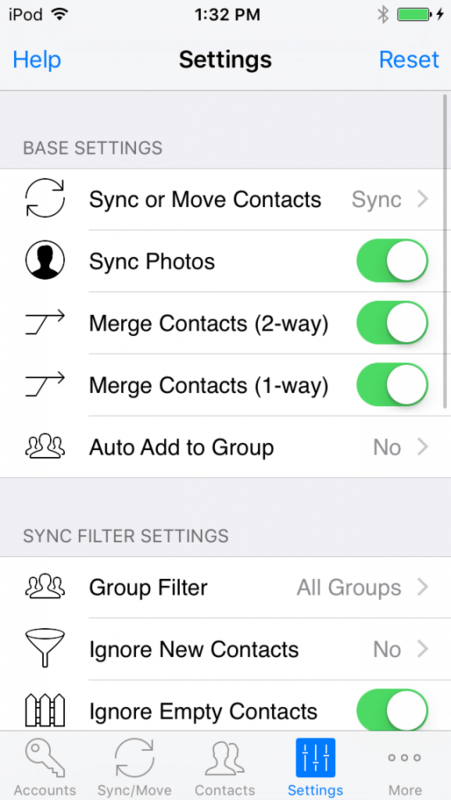 IMPORTANT: If your intent is to sync your Gmail contacts & groups with your iPhone/iPad, please consider using “Contacts Sync for Google Gmail” at the App Store as it can sync both your contacts and groups. 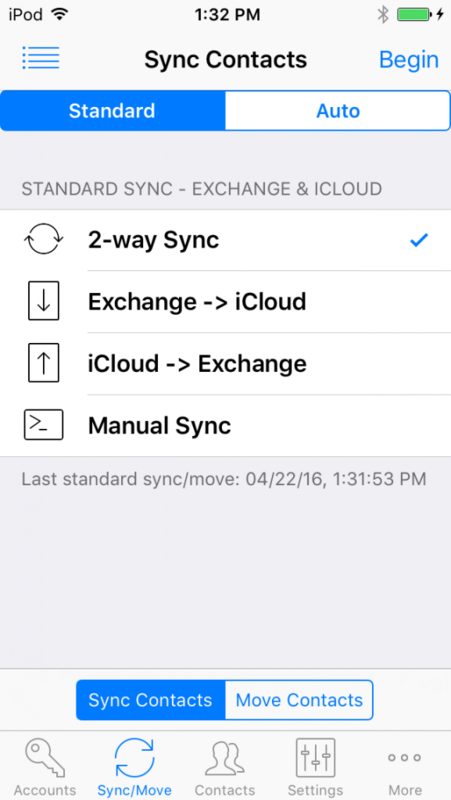 This works flawlessly, and exactly handles our multiple iCloud devices with the Exchange account. A huge time-saver and a great way to back up all contacts within minutes. Works wonderfully and for a person who is OCD like me, everything is organized effortlessly!!! I asked a question and not only was I amazed I received an answer it was done in minutes. I would give 6 stars if I could. Works perfectly. Could not be simpler.